Fun game, but is it truly mario? Back in the days of the NES's release, Super Mario Bros. changed the world of gaming. For once, instead of a game that only involved getting the high score, Super Mario Bros. was the first game with well developed music, a lot of depth, many secrets hidden throughout the game, and everyone got to experience it because it was included with every NES. A sequel for this game was a no-brainer. So a game that used the same exact graphics engine as the original Super Mario Bros. was created. 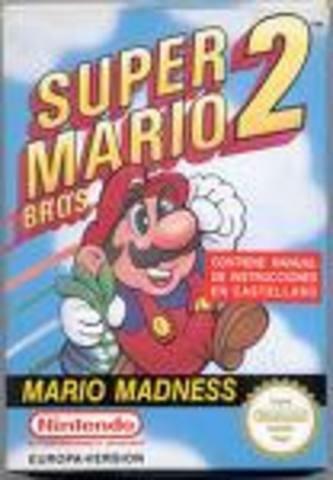 Super Mario Bros. 2 was very close to the original except it included poisonous mushrooms, backwards warps, and was one of the hardest games Nintendo ever made. The difficulty was so high that sometimes people needed a FAQ or guide to find out how to get across a certain gap. Being that it was so hard, Nintendo decided to never release the Real Super Mario Bros. 2 in America, instead using a Japanese arcade game titled Doki Doki Panic in which they inserted Mario Characters in the place of the games normal characters. This is where we got Super Mario Bros 2 that Americans know. 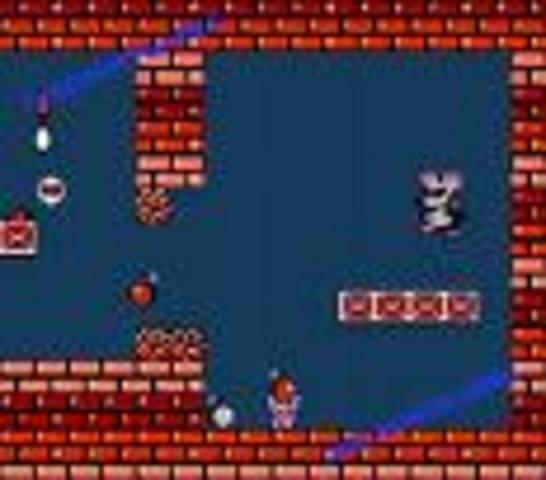 Side Note: SMB2 lacks multiplayer, which is a rather large disappointment. Although SMB2 on the NES has no multiplayer and the lack of modes may cause some dislike, a remake for the Gameboy Advance called Super Mario Advance has multiplayer, allows you to save, and features various new additions like 5 red coins hidden on each level. Also, an unlockable in the GBA version allows players to try and find a Yoshi egg hidden on each level. The bad thing about the GBA version though, is that infinite continues and allowing to save have ruined its difficulty. There has been a recent price drop in the GBA version to 15$, so I would recommend it if you want the extras. But for 3$ on eBay, I'm not complaining about this fun NES title.